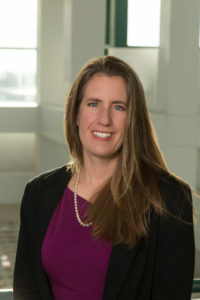 Sarah earned her Bachelor’s degree at Smith College in 1993 and received her Masters of Science in Adult Nursing Primary Care from Massachusetts General Hospital in 2000. Sarah is a board-certified adult nurse practitioner with over 18 years of experience in health care including internal medicine and infectious disease; providing health care to patients ranging in age from adolescent to geriatric. She previously served as a sub-investigator in clinical trials and worked in observational studies with the National Institutes of Health and Centers for Disease Control and Prevention. Sarah enjoys the science but more importantly the art of medicine. Her passion lies in teaching patients, identifying barriers to healing, and helping patients remove those obstacles while finding motivation to improve optimal health. Sarah sees patients for all of their primary care needs including: annual physicals, women’s health issues, cardiovascular disease prevention and treatment, and acute care appointments. Sarah is energetic, well-educated, caring and has a great sense of humor. Sarah’s travels include service in the United States Peace Corps and a medical mission to rural Nepal. She’s also a long-time practitioner of Vipassana meditation. Living here in Louisville, Sarah enjoys spending time outdoors, trail running, time with her family and friends, cooking, creative writing, and when inspired, jumping on the trampoline with her son.